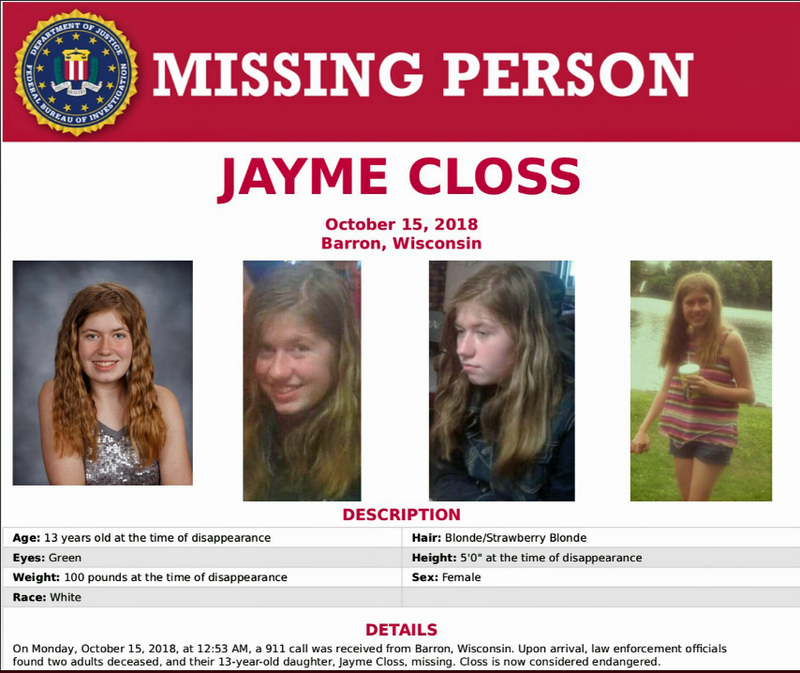 Barron County Sheriff Chris Fitzgerald requested the volunteers in a post to the department Facebook page on Monday, for “an expanded routine search for articles of evidentiary value that may be related to the incident.” The ground search is scheduled to begin at 9 a.m. on Tuesday. Investigators are also looking for two vehicles of interest. 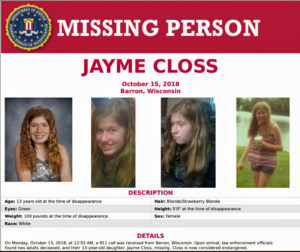 Jayme’s classmates planned a “Gathering of Hope” which will take place Monday evening at Riverview Middle School in Barron.